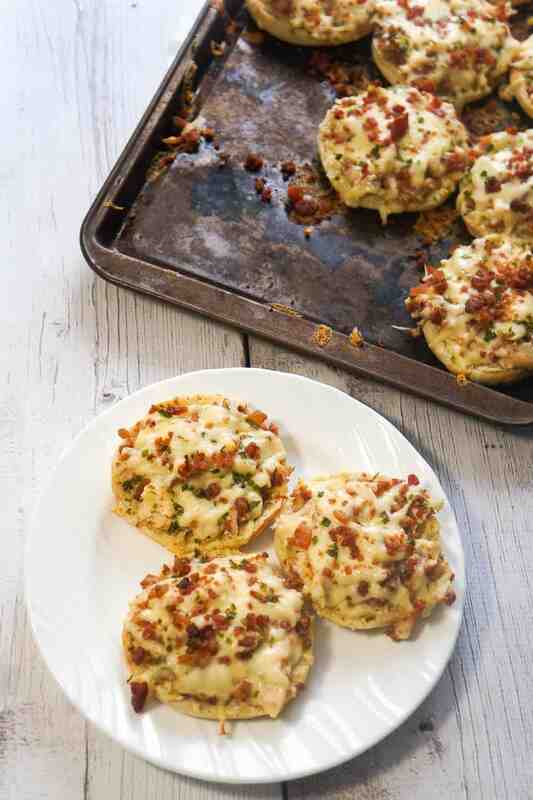 Bacon Chicken Alfredo English muffins are an easy dinner recipe or perfect party snack. 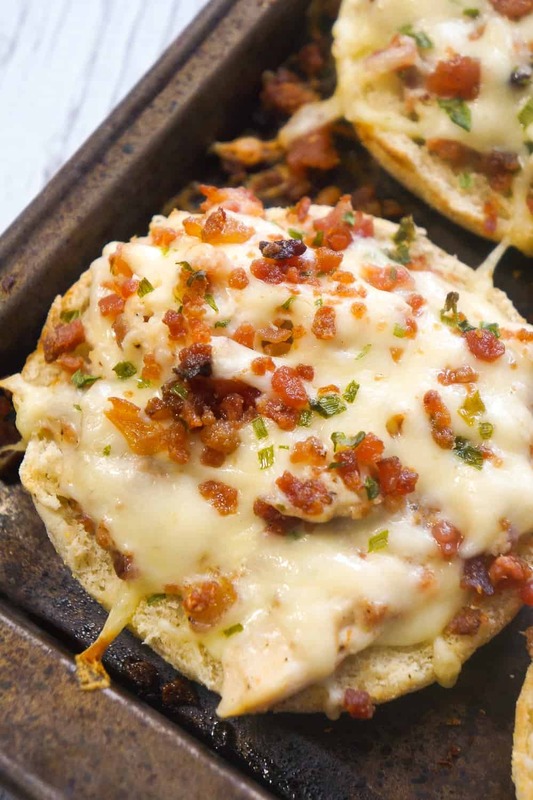 These baked English muffins are loaded with shredded rotisserie chicken, bacon, cheese and Alfredo sauce. To make these open faced chicken sandwiches I started by shredding some grocery store rotisserie chicken. I placed the shredded chicken in a mixing bowl along with some real bacon bits and Alfredo sauce. I stirred the chicken well until it was all coated in sauce. Then I sliced some English muffins in half and lay them out on a baking sheet. I spooned the chicken mixture onto the English muffins and spread it out evenly. Then I sprinkled some shredded mozzarella cheese over the chicken, followed by some more bacon bits and some dried chives. I placed the baking sheet in the oven and baked the chicken Alfredo sandwiches until the cheese was just starting to brown around the edges. These chicken and bacon sandwiches are moist and delicious. The English muffins get nicely toasted and provide a great crunch to the dish. 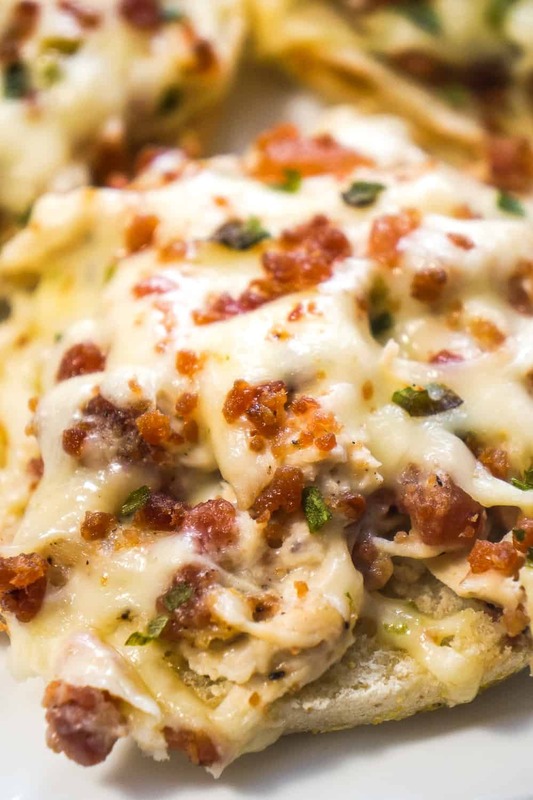 Be sure to try these Bacon Chicken Alfredo English Muffins next time you are in need of a quick weeknight dinner. 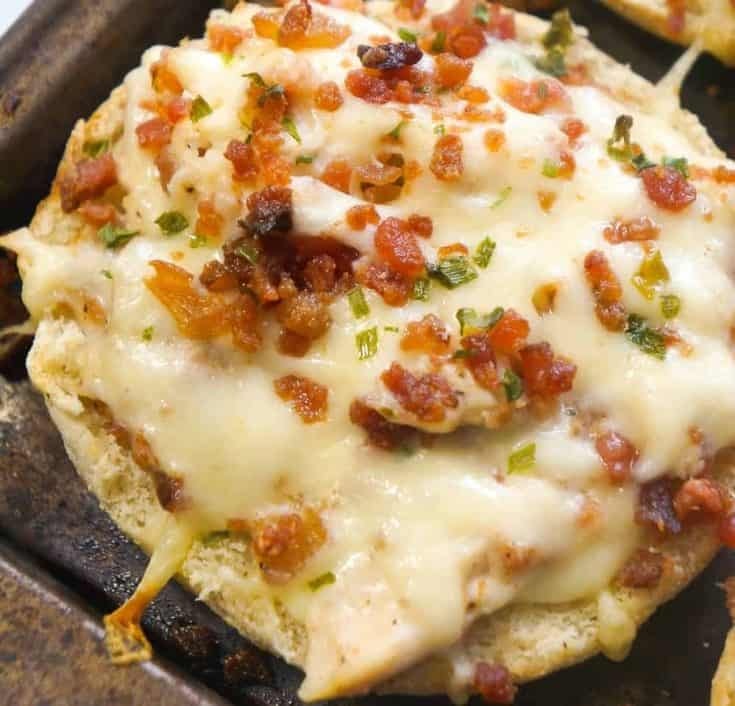 If you are looking for more easy dinner recipes check out Pizza Burger English Muffins, Sweet Chili BBQ Chicken Sliders and Cream Cheese Bacon Chicken Tacos. 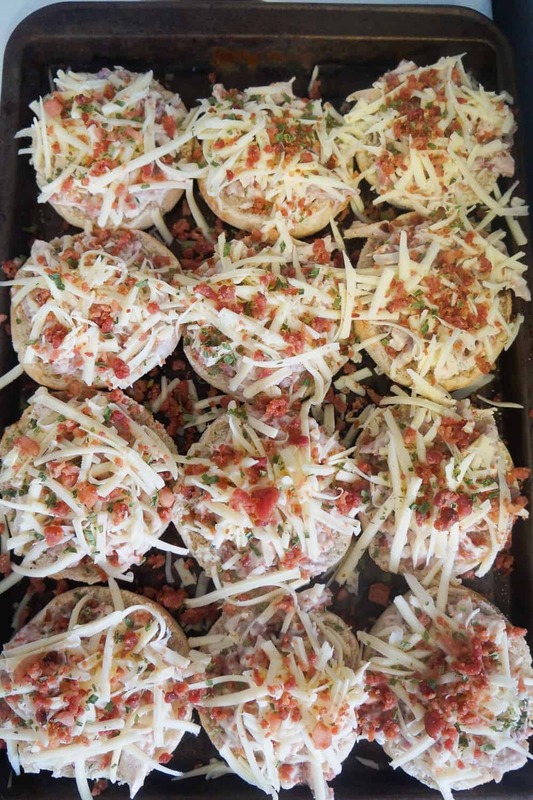 Bacon Chicken Alfredo English muffins are an easy dinner recipe or perfect party snack. 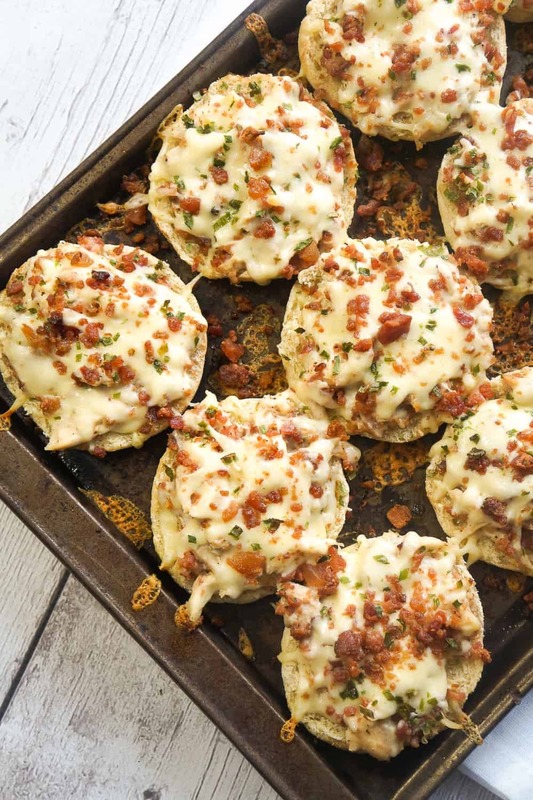 These baked English muffins are loaded with shredded rotisserie chicken, bacon, cheese and Alfredo sauce. 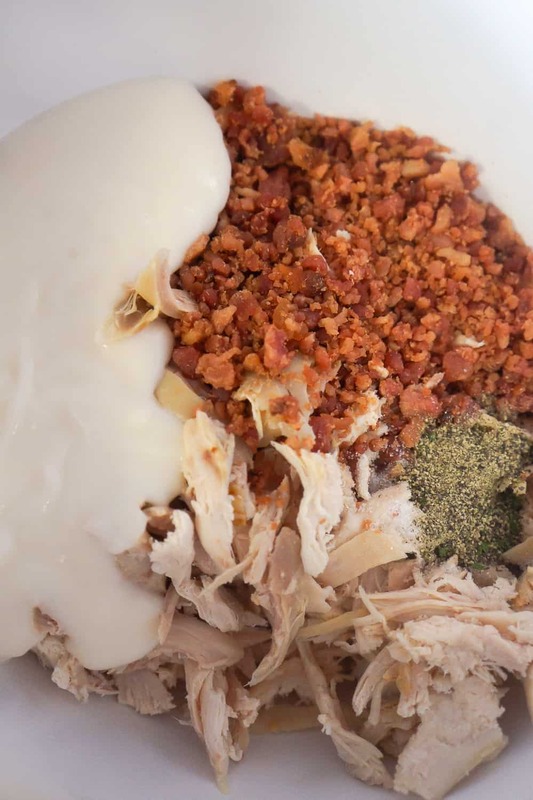 In a large mixing bowl combine shredded chicken, 3/4 cup real bacon bits, Alfredo sauce, salt and pepper. Stir well. 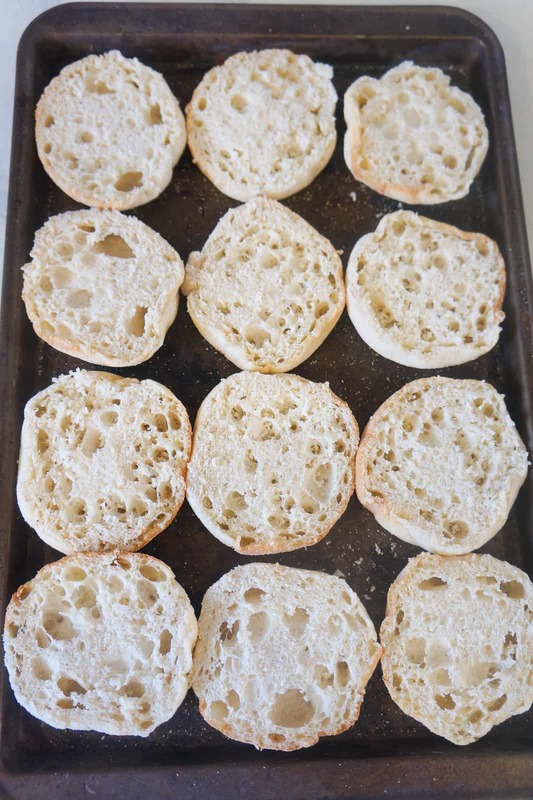 Slice English muffins in half and place on a baking sheet cut side up. 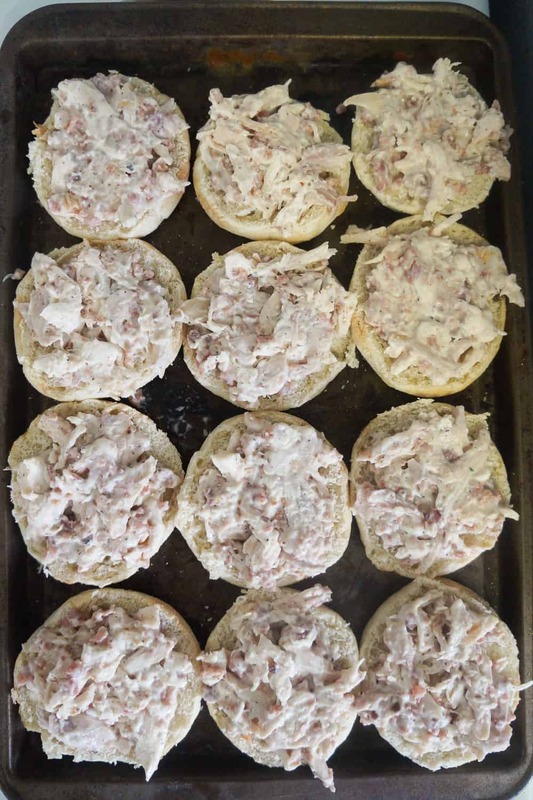 Spoon chicken mixture onto the English muffins and spread it out evenly. Sprinkle the mozzarella cheese over the chicken, followed by 1/4 cup real bacon bits and the dried chives. Place the baking sheet in the oven and cook for 10-12 minutes until cheese is just starting to brown.